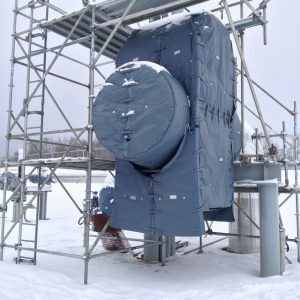 The THOMAS Group has the capability to supply and install insulation blankets for any size project. Our ability to field survey the blanket prior to the completion of the insulation work is a first in the industry and sets us apart from the others. The THOMAS Group can also supply and install insulation blankets for any jet fired systems. As with all o divisions within the THOMAS Group, commitment to Safety 24/7 is our number one goal and something we all take great pride in.